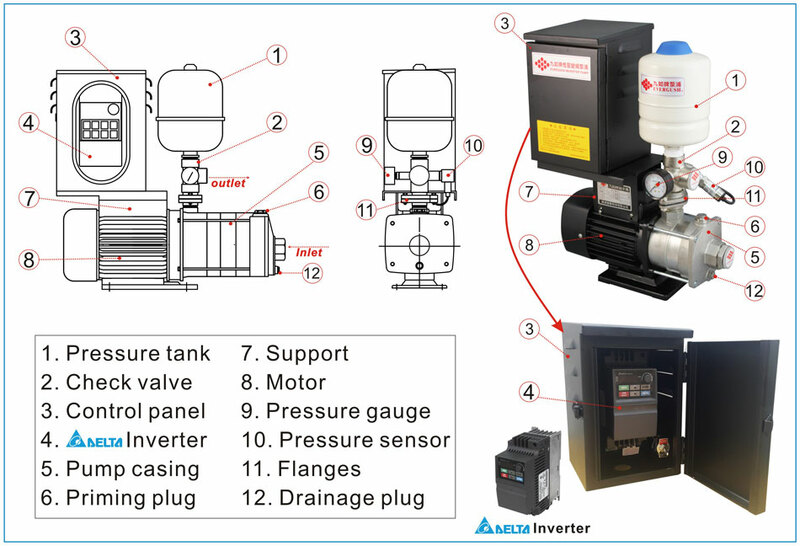 The VS is a complete, all-in-one unit, consisted of stainless steel multi-stage pump, motor, pressure tank, and inverter(VFD) controller. The pump is constructed from top quality and corrosion resistant materials for cleaning using water. The unit can keep water pressure stable, and you can adjust required pressure setting on the electronic screen. No water hammer occurred when pump is in use. The motor rotational speed will change according to current consuming water capacity for saving power and electricity costs. Dry-running detection. It will shut down automatically while no water flows in ,to prevent motor from burn out due to water outage. 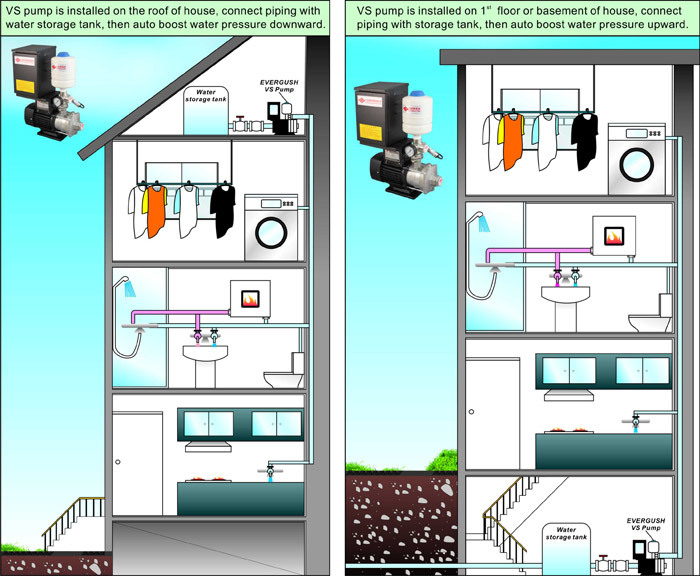 Water supply systems, water treatment systems, and reverse osmosis devices. Beauty shops, villas, restaurants, spa equipments, motels, small hotels. 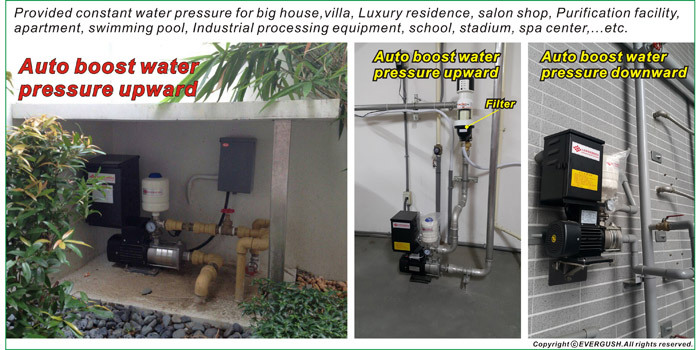 Industrial pressure boosting systems and washing equipments. Potable water or other clean non-corrosive liquids without abrasives.